Top Turkish officials have questioned the use of Incirlik Air Base by the US-led coalition, citing a “confidence crisis” with Washington and inadequate support for Turkey’s ground forces in Syria. The US-led coalition does little to provide aerial support to Turkish troops deployed in Syria as part of the Operation Euphrates Shield, Turkish Foreign Minister Mevlut Cavusoglu told state-run Anadolu news agency on Wednesday. “Our people ask, ‘why are they using the Incirlik Airbase. 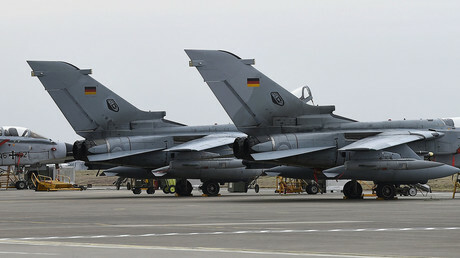 We allowed not only the US but also other countries’ jets to use Incirlik to jointly fight [Islamic State],” he said. “What purpose are you serving if you do not provide aerial support against Daesh [Islamic State] in the most sensitive operation for us?” he added. Currently, Turkish troops and Free Syrian Army (FSA) rebel fighters are involved in a major ground offensive to seize the Syrian town of al-Bab, Islamic State’s (IS, formerly ISIS/ISIL) westernmost stronghold. Fighting in the area intensified after the terrorist attack at a nightclub in Istanbul, which was claimed by IS. His remarks were echoed by Turkish Defense Minister Fikri Isik, who said that the lack of US air support for Turkey’s operation in al-Bab “raises questions” about the American presence at Incirlik. “We hope that all coalition forces, primarily the US, give air and other support that Turkey needs in the Euphrates Shield operation and the necessary step will be taken soon,” Isik told journalists in Ankara, according to Hurriyet daily. “But it is thought-provoking that despite the fact we have been NATO allies for years, and that a coalition has been established to fight against ISIL, the coalition does not support the Euphrates Shield operation launched by the Free Syrian Army and supported by the Turkish armed forces,” he added. Deputy Prime Minister Veysi Kaynak told broadcaster A Haber on Thursday that the issue of the Incirlik Air Base was on the government’s agenda. 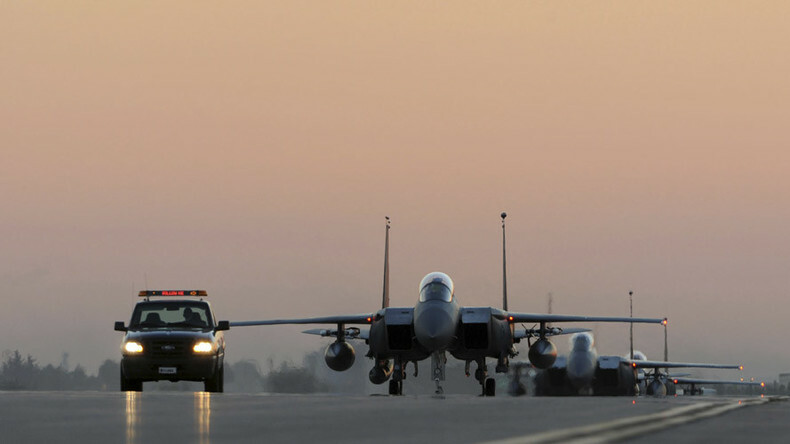 US Air Force Col. John Dorrian, the coalition spokesman, said in response to the Turkish statements that any steps to limit or ban air operations at Incirlik would result in a disastrous outcome. Incirlik has been jointly used by the Turkish and US air forces since the Cold War, as well as being a major NATO hub in the region. Tactical nuclear weapons are believed to be stored at the base, an allegation the Pentagon has always denied. 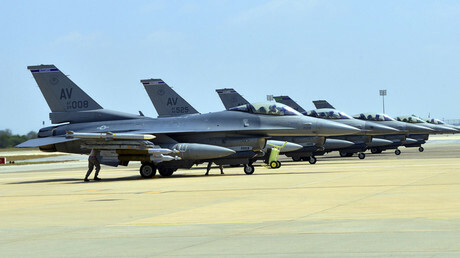 Last July, Turkey imposed a temporary no-fly order on US flights out of Incirlik over suspicions that the facility was used by rebels in the failed military coup attempt against Turkish President Recep Erdogan. Relations between Ankara and Washington were also marred by the US’ reluctance to approve Turkey’s extradition request for exiled Muslim cleric Fethullah Gulen, who Erdogan accuses of fomenting the July coup attempt.